A Nisswa Tradition! 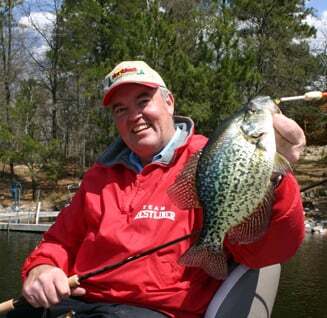 Whether you are looking for a Nisswa Fishing Guide, a Brainerd Fishing Report, or a rental boat to get you on the water, Dave's Sportland Bait and Tackle and Nisswa Guide Service can help you out. We opened our store in 1976 and we've been the premier fishing store in the Brainerd-Nisswa area ever since. 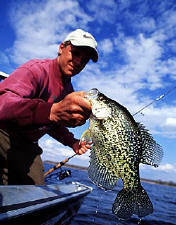 Our fishing guides are the best Nisswa has to offer. If you want the latest please check out our fishing report. Our guides update the fishing report daily. Our live bait is second to none, we carry all the essentials including the very popular redtail chub. We are located in the heart of the Brainerd Lakes area. In fact we are the closest shop to Gull lake and we are only minutes from Pelican, the Whitefish chain, and Mighty Mille Lacs. Young or old we have what you need at Dave's Sportland Bait and Tackle. We are now the area's largest dealer for high end fishing rods and reels from St. Croix, 13 Fishing, Fenwick, and Quantum. Please call us 218-963-2401 or email to place your order. We can have the product shipped direct to you. We may be able to offer free shipping if your order qualifies. For help with your electric trolling motors, sonar, and GPS units please check with our friend Andy at Fish-Lectronics in Pequot Lakes. They are the absolute best in the industry. 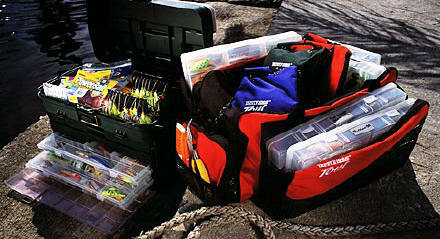 At Dave's Sportland you can expect the best prices of any bait and tackle shop in the Brainerd/Nisswa Area. Whatever you are looking for we will have in stock or we can order it and have it for you in 2-3 days. We will try to match or beat any of our competitors prices. If you need Rods, Reels, Trolling Motors, or Electronics check with us and we'll save you some cash!